Loving the fact that Tokyo Weekender, Japan's oldest free English publication, did a piece on Nagomi Visit. Expats currently living in Japan already participate in our programs but we are hoping this coverage will help more people to step outside of their usual communities! Having been asked this a couple of times, we decided to compile a list of some (English language) Japanese home cooking recipe books. However that said, ironically our recommendations would be to check out a few websites before you buy your first Japanese cookbook. The main reason is that the internet provides the necessary support when trying to cook Japanese food for the first time. Probably the most frustrating part will be figuring out what are the necessary Japanese ingredients, finding them, and familiarizing yourself. Cookbooks may have general recommendations on where to purchase ingredients, what can be left out, or what can be substituted, but not everything will be crystal clear. Just Hungry is the most comprehensive site to familiarize yourself with Japanese cooking. Maki who runs the site, knows what it is like to not have access to Japanese ingredients 24/7 so all her advice is extremely helpful with lots of information on understanding Japanese ingredients, when using substitutions are okay and not, and there is also a huge community of fans all over the world who help each other. Plus Maki is very good about answering questions, though amazingly enough many of them have been answered on either the Just Hungry site or her bento focused site Just Bento. Though not recipes, her articles on The Japan Times are also very informative if you are looking to want to learn more about Japanese cuisine. Some other recipe sites are Just One Cookbook, No Recipes, and the English Cookpad recipe sharing website. Probably the most obvious drawback about the Cookpad website is that these are translated recipes so it might be difficult to follow since many of the recipes assume you are in Japan and already are familiar with the ingredients. But once you familiarize yourself with the basics it will be a good source of inspiration. If you are really serious, Elizabeth Andoh's books are a great read. They are not for the casual cook looking for a quick recipe, but instead are best for those wanting to really understand in depth about traditional Japanese home cooking and ingredients because everything she writes is thorough with a non-Japanese audience in mind. Japanese Farm Food is good for someone who doesn't mind a bit more narrative in their cookbooks than just straight forward recipes and descriptions about ingredients. You will get to learn a bit about what it is like to live in rural Japan. It is of course good as a cookbook but the book is so beautiful that it will probably end up better as a coffee table book. Kurihara Harumi's books are also an option but they are more contemporary Japanese home cooking, meaning some of the ingredients she uses include western ingredients. Just imagine a Japanese Rachael Ray so her recipes represent the modern Japanese kitchen. Her books are probably more recommended for those already with a basic knowledge of traditional Japanese home cooking. The same probably goes for some of the recipes on Cookpad. Here we have decided to compile a list of guides you can use to help plan your Tokyo trip. This ongoing guide will assume you have already browsed through general information like the almighty Japan Guide. Apologies in advance for being a bit Tokyo-centric here but will hopefully be able to change this to a solid Japan guide article. Hey Kumo's A Guide to a First Tokyo Trip is a great comprehensive Tokyo guide but also has a good section on Getting Connected which will be helpful for those struggling to figure out the wifi situation in Japan. The Thousands Tokyo Select has great articles on places that may not be thoroughly featured in conventional guides like this post on Yanaka. Time Out Tokyo is a great basic resource with many Top 10 or Best in Tokyo lists but Food Sake Tokyo should definitely be the go to site for foodies who love food from Michelin-starred restaurants to bargain eats. Bento.com is also a good resource with restaurants reviews covering the Kanto and Kansai area, but the photos on Tokyo Eats may be helpful in finding places, although most places are in Tokyo and some in Kyoto. Again, Time Out Tokyo does a great job of listing the best out of the bunch in Tokyo in their Budget hotels and hostels in Tokyo article. Need a good book to read during your travels in Japan? Michael Booth's Sushi and Beyond: What the Japanese Know About Cooking is probably the best for a foodie. Here is a good overview of the book on the Japan Times. Hello Sandwich Tokyo Guide would be a fun alternative guide but is unfortunately out of stock so in the meantime check this One perfect day: Tokyo article or though not necessarily in a guide format, take a look at her blog for inspiration. The Japan Times is good for basic local news in English of course but Makiko Itoh's columns are great for foodies of all levels. So who are the Nagomi Visit guests? 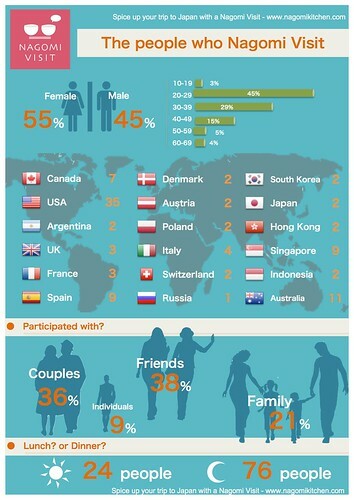 Hopefully this will give you an idea of what types of people participate in Nagomi Visit. This is a summary of our first two years. Basically what all this means is that we have 5 times more participants than last year! Woo-hoo! There is also more diversity with guest from 19 more countries than last year, where a large number are from the United States, Australia, Singapore, Spain, Canada, UK, and Italy. Though most are travelers, we love that more expats in Japan are using our program to help explore outside of their communities. 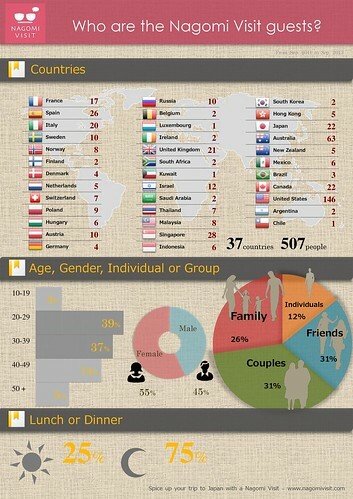 What is not included in the infographic is we now have more hosts who are vegetarian or vegan or can arrange these meals. There are also many who can make meals without pork, beef, or handle various allergies such as shellfish which has also helped us to welcome a more diverse group of guests! Although the Kanto and Kansai area are the most popular with Tokyo at the top, then Osaka and Kyoto, we are glad to see more in other parts of Japan including Nagoya! We thank all of you who have made this possible! Happy 2nd year anniversary Nagomi Visit! Arigato to all of you since you made this happen! Woo-hoo! We started as Nagomi Kitchen back in November 2011. There were three hosts who were part of our home visit program who were friends of ours. 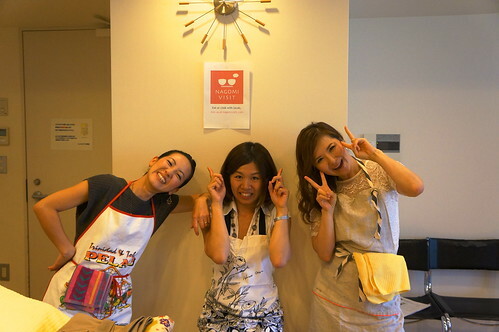 Founder Megumi was the only cooking instructor we had for our cooking classes. We actually didn’t even have a proper website back then. During the early years we were literally doing everything from finding hosts from our personal network to teaching the cooking classes. Many things happened since then. After much thought we renamed our organization to Nagomi Visit International and became a registered nonprofit organization. Our first step outside of the greater Tokyo area was to expand our activities into the Kansai region. The amazing power of the internet, word-of-mouth, the media, and our growing number of supporters helped the Nagomi Visit community of hosts and instructors to expand, eventually making it normal for Nagomi Visit activities to happen everyday simultaneously all across Japan. Now we have close to 100 hosts all over Japan. The show we are going to be on today has been posting various teasers on their Facebook page about the episode we are going to be featured on. This is very exciting. Here is one of the main ones translated into English. 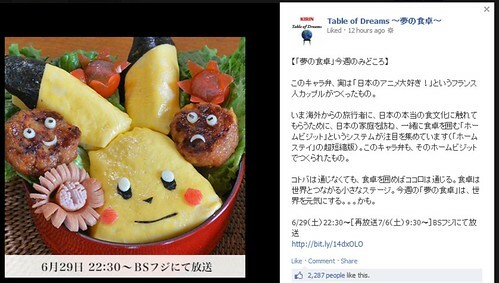 This kyaraben (character bento box) was actually made by a Japanese anime loving French couple. 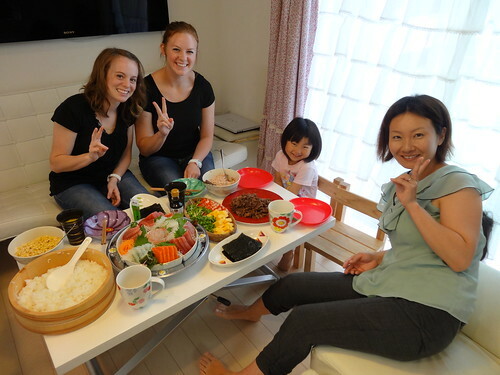 Right now short homestay programs called home visits are becoming popular among travelers who want to learn more about real Japanese food. This is a kyaraben that was made in one of these home visits. Food can play a crucial role in fostering meaningful conversation between people of various backgrounds. This week’s “Table of Dreams” may make the world a better place. The dining table becomes the center stage where people come together to connect with the world. 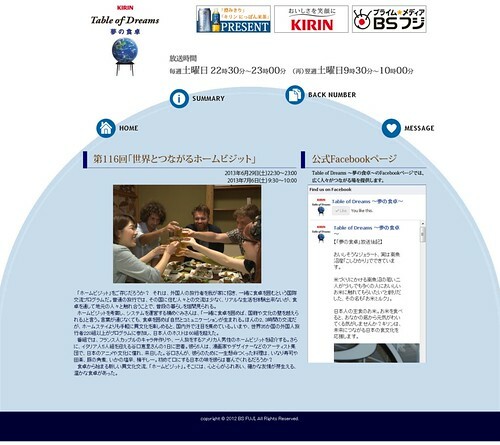 So if you have been following Nagomi Visit for awhile you probably already know that our program is going be featured on television this weekend June 29th 22:30-23:00 on BS Fuji. Now this is BIG NEWS because it is not just a measly few minutes of screen time but a full thirty minute documentary (if you want to be exact probably 29 minutes minus a one minute long Kirin commercial) about what Nagomi Visit is about and what we are trying to accomplish as an organization. It's just us and only us for the full episode. Amazing! When we were first contacted by the producers it was sure a dream come true but at the same time a bit hard to believe since we had been contacted before with similar offers. Even after meeting the crew and all the filming, it still felt like a dream. Finally it is slowly starting to feel real with a photo and description about our program on the show's website and only a few days away until the episode airs. Hopefully we will be able to do a recap for those who are not able to see the show live but before that, here is a rough translation of what it says on the website. "Know what a home visit is? It's a program where locals welcome travelers from all over the world to come to their home to eat lunch or dinner. When you're traveling, it is often difficult to find a chance to really interact with locals and get to see what it is like to live in the place. However, with a home visit travelers can get a glimpse by going to a local home and sharing a meal. 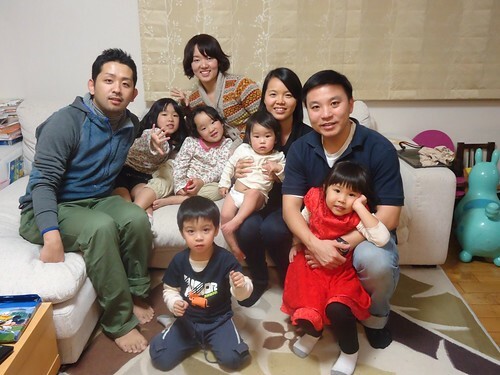 Megumi Kusunoki who founded and operates this home visit program believes that there are many cultural boundaries that can be broken just by sharing a home-cooked meal. Not everyone has to be a native speaker in each other's language because food will help to cultivate good conversation. The program is becoming popular around the world because the experience is similar to a long-term homestay program but can be done in just two or three hours. There are currently over 60 hosts (note: there are actually 70 as of now), and over 220 groups who have visited these various households from 35 countries. In this episode we will be following a French couple making a Japanese character lunch box, a solo traveler from the United States among others. 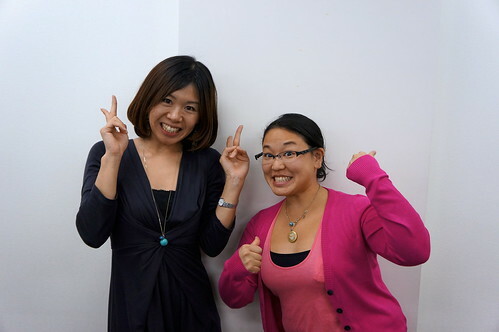 You will also see Nagomi Visit host Eri Taniguchi as she prepares to meet five travelers from Italy. The five of them who are artists and designers are visiting Japan in hopes to see the country they first came to know through animation and its culture. Eri prepares various dishes for the day including inarizushi fried tofu pouches filled with sushi rice, miso glazed dengaku, braised pork belly kakuni, fermented squid shiokara, and salted umeboshi plums. Will the guests like the Japanese dishes they tried for the first time? Let us explore this Home Visit: a new kind of cultural exchange that begins at the dining table. It is where people first come to connect as travelers and locals, but eventually cultivate real friendships." 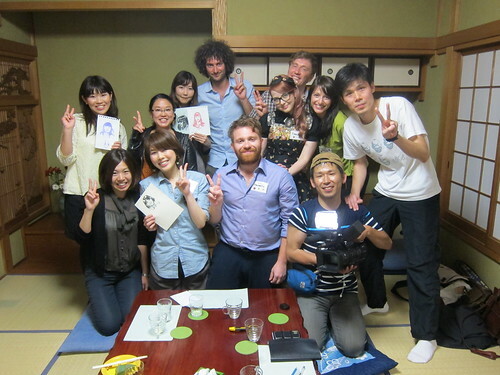 This thirty minute show was a result of four days of filming spending many amazing hours with various hosts, guests, Yuko one of our Cooking Visit instructors, myself Alisa Sanada the Chief Operating Officer, and of course our founder Megumi Kusunoki. A big huge arigato to all those who were with us during the filming including friends and family cheering us on in the sidelines. Yes, because of your support Nagomi Visit will be making its first major television appearance but that is not the only point I'd like to make here. All those days of filming and waiting for the show to air have all been an important journey. Hearing stories directly from hosts and guests, it reassured that they are not just participants but are people who strongly believe in our program's goals of true cultural exchange. We were also grateful to really see that there is a growing solid Nagomi Visit community and it is not just a scatter of ties between individual hosts and guests. Lastly, for the Nagomi Visit team, this will be a big opportunity to share with more people what really motivates us as individuals to run the program we love so much. So thank you all not just for the screen time but the whole experience! Lets see what happens on June 29th 22:30-23:00 on BS Fuji! So who exactly are the Nagomi Visit hosts? We’ve probably already told you somewhere that they are real people just like you. Many are in their 20s to 60s, who live alone or with friends and family in apartments and homes all across Japan including Tokyo, Osaka, Kyoto, Nagoya, Sendai, Fukuoka, Niigata, Hakuba/Matsumoto, and Iga Ueno. But now we have a video so you can see for yourself! So what is Nagomi Visit all about? We have been getting a lot of media attention lately and are noticing a pattern in the questions we are being asked so decided to do a rundown of the basics. This sudden surge in interest motivated us to really self reflect and update our About Us page so we are very grateful of this opportunity in addition to the obvious well needed exposure. What does Nagomi Visit do? 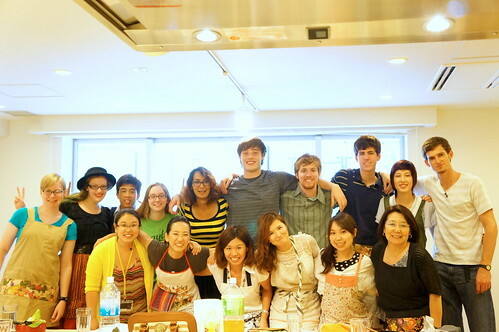 Nagomi Visit International is a non-profit organization promoting cultural understanding through home cooking. We provide a forum for cultural and culinary exchange by inviting locals to open their homes for travelers over lunch or dinner. What is so special about Nagomi Visit? We know meal sharing is not a new phenomenon but Nagomi Visit is here to make it easier to connect travelers and locals with the help of a little technology and a real life support team. Being an organization that started in Tokyo, we currently already have a strong fan and user base in Japan. However what makes us more special is that our programs are setup so that it is clear that all our participants are in it to make meaningful connections with travelers and locals alike as oppose to for monetary reasons. Safety is also a trait since the Nagomi Visit team takes time to communicate with all hosts and guests to create a community. How did Nagomi Visit get started? 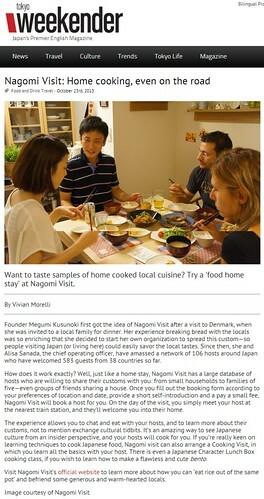 In 2009, Nagomi Visit’s founder Megumi visited Denmark for the first time and was invited to a local home for dinner. The foods, the people, everything she saw was new to her but the warmth she felt was just like anything she would experience with friends and family back home in Japan. The new bond she made by sitting at the same table “breaking bread together” or “eating rice out of the same pot,” was the inspiration for founding Nagomi Visit on September 2011. What is Nagomi Visit’s mission? We want to encourage locals and travelers to humanize each other by “breaking bread” during their travels. 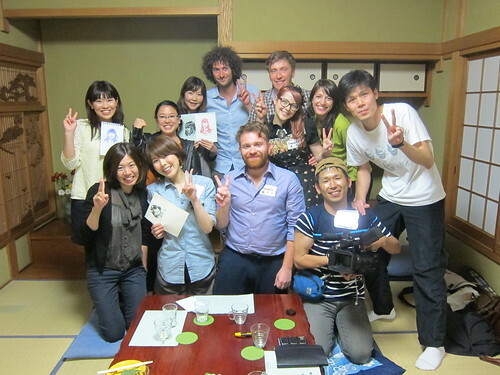 While there are many ways to exchange cultures, there is an important reason as to why we literally took the Japanese idiom “onaji kama no meshi o kuu” and made it into a program where people of all cultures come together to “eat rice out of the same pot.” Visiting a local home for lunch or dinner is the closest you can get to sharing each other’s everyday lives, which is the best way to start seeing a country for it’s people and not just as another place. Who are the Nagomi Visit hosts? Why do they host? Basically real people just like you. Many are in their 20s to 60s, live alone or with friends and family in apartments and homes all across Japan including Tokyo, Osaka, Kyoto, Nagoya, Sendai, Fukuoka, Niigata, Hakuba/Matsumoto, and Iga Ueno. There are many who are hosting because they themselves have been welcomed to a local home and being a part of Nagomi Visit is their way of giving back. Who are the Nagomi Visit guests? Why do they participate? All our participants from 35 countries have so far been couples, families with children, friends, solo travelers, basically everyone who is an independent-minded traveler wanting to know more about Japan or interested in meeting new people. Though most of our participants have been between the ages of 20 to 60, we have had requests from very active 70 year olds which is very humbling. 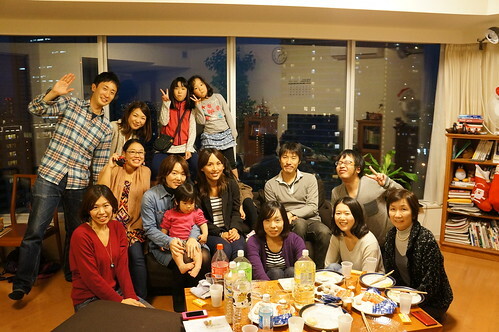 We also have large groups of professors, instructors, and students participate as part of their school program, and even expats who have lived in Japan for awhile but would like to become more immersed into the local community. What do participants get out of the experience? We hope that the more you put into it the more you get out of it. Generally it’s the first time a traveler meets a local in their own home so that already is in itself a rewarding experience. Most participants come into the program ready to eat a good meal of course but are surprised by the variety of dishes they have never seen before in their local Japanese restaurant back home. Even those who have eaten the dishes, notice that not everyone cooks it like their restaurant does. Some also notice that they started liking ingredients they thought they didn't care for before like seaweed, seafood, tofu and the like because of freshness or differences in preparation among other reasons. Then of course is the time you spend with the host. Both the verbal and nonverbal exchanges have led to some great friendships. Even if not all conversations lead to everlasting relationships, don’t hesitate to ask hard hitting questions as this is your opportunity to learn. What does the future hold for Nagomi Visit? 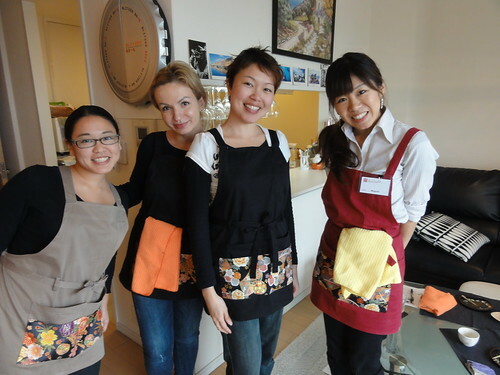 We are always expanding the number of hosting areas but we also have a few more Nagomi Cooking Visit instructors who will be able to teach Japanese cooking in other parts of Japan besides in Tokyo. So come and Nagomi Visit with us! 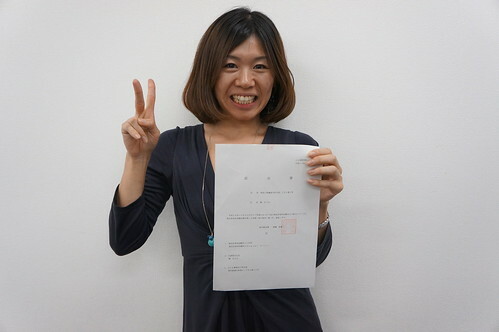 Nagomi Visit is now a nonprofit organization! It's official! Nagomi Visit is now a nonprofit organization! Check out our press release. Why are we so happy? Why is this so important? Being a nonprofit is hard. We are required by law to be very transparent and well monitored. The paperwork necessary to maintain our nonprofit status is cumbersome. But Nagomi Visit is an organization built by people for people. We know for sure that we wouldn’t be here if it wasn’t for all of you wonderful people so earning everyone’s trust as a transparent nonprofit organization was a very important decision. Being a nonprofit will allow us to just focus on making Nagomi Visit a sustainable program for years to come. As an organization focused on self-sufficiency, all the money you are paying as a guest will go straight to making our program available for the next new guest and host and for no other purpose. Every single yen will strictly go towards making the Nagomi Visit vision come true. So what do you want to do as a nonprofit? The goal of any successful nonprofit organization is to bring good into this world. With Nagomi Visit, we simply want to give people the opportunity to not just learn about Japan but break boundaries over good conversation and of course very good food. Yum! Rather than just the two of us on the About Us page dictating how things work at Nagomi Visit, being a nonprofit will allow us to run our organization with the help of many who are part of the Nagomi community. An organization built on communication could not be built by us alone. We started Nagomi Visit because we knew that travelers coming to Japan were looking for a way to meet locals and try real homemade Japanese food. We also knew that locals in Japan wanted a way to connect with the global community. However, it wasn’t until close to 30 hosts and 200 guests later that we realized we needed to take the next step to keep Nagomi Visit going. So becoming a nonprofit organization is our first step into a big year as Nagomi Visit International! Arigato to all of you and yoroshiku 2013!